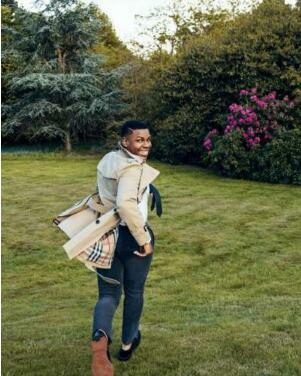 John Boyega is the perfect poster boy for GQ Magazine's August 2017 cover. 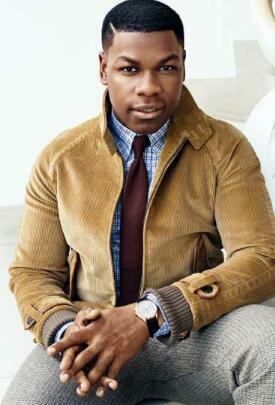 The Nigerian-British actor sat stylish in earth toned pieces for the cover feature. He sat in a pocket detailed trench for the cover pose donning a light blue shirt with tie looking good for the image. For the spread he went for classic Ralph Lauren fitted pants, Burberry trench, tailored jackets and more flattering looks dishing on his career, fame and marriage amongst other things. John Boyega (with real names John Adedayo B. Adegboyega) won people's hearts in 'Half Of A Yellow Sun' and then 'Star Wars'. Check out the stylish looks he donned for the GQ cover feature in the gallery.